Gujarat Congress leaders alleged Modi Government for using cheap China made tyres for his rath which started travelling for Gujarat yesterday. that he used Indian made expensive tyres," said Gujarat Party President of Congress, Arjun Modhwala. He said "I have all the documents with me and I demand a special CBI inquiry in the matters so that guilty could be punished." Ahead of the 2012 Gujarat Assembly elections, Chief Minister Narendra Modi on Tuesday started his election campaign with Vikenanda Yuva Vikas Yatra, using Lalkrishna Advani's rath. 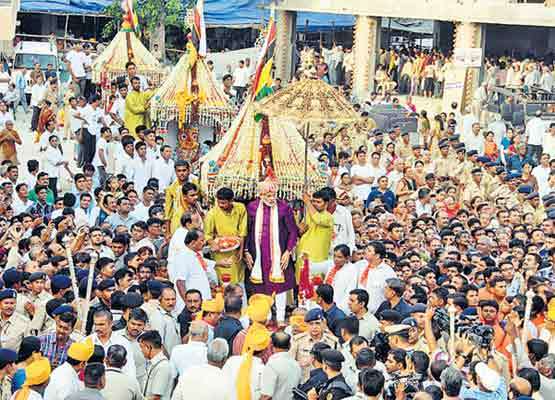 The yatra began in Mehsana district of North Gujarat, Modi's home turf and his core constituency. Modhwala said "We have no issues if Modi is going by rath or cycle. But he should show whatever he spent. 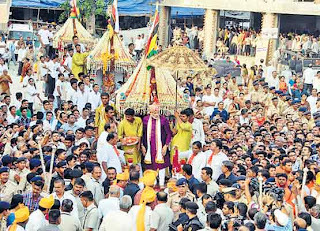 The point is before this rath yatra he never opened any tender process or there was no auction. All the 4 tyres are straight a way purchased by the Chinese manufacturer, with no auction and price discovery process." He also said that the tyres are low quality and would be punctured at least twice during the yatra, ensuring that Chinese manufacturer will get more money to replace them.